Charles (Chuck) Richard Kibler, 66, of Fisher died at 11 p.m. Wednesday (Oct. 10, 2018) at Carle Foundation Hospital. He is survived by his wife of 40 years, Marla Kibler; six children, sons Devin Kibler of Yuma, Ariz, and Daniel (Sarah) Kibler of Marshall, daughter Elizabeth (Shawn) Spark of Fisher and stepdaughters Theresa (Ted) Conway of Melbourne, Fla., Christi Bowman of Columbus, Ohio, and Deanna (Cory) Shumard of Tolono; and six beloved grandchildren, Gavin, Krystyn, Emmalynne, Nicholas, Sammy and Charlie. He was preceded in death by his sister, Kay (Mike) Hudson, and parents. Chuck was born Dec. 10, 1951, in Meredosia, the son of Eugene and Carol Kibler. He graduated high school in 1969 and then chose to serve our country by joining the U.S. Air Force. He retired from Chanute Air Force Base in Rantoul in 1991 as a technical sergeant. During his tenure with the Air Force, he served abroad in Thailand for one year, received his associate degree (1990) from the Air Force Community College, and his primary specialties included education supervisor, avionics instructor and avionic guidance and control systems technician. He also received the Air Force Commendation Medal, AF Outstanding Unit Award, 1 Dev. AF Good Conduct Medal, 4 Devs. National Defense Service Medal, Vietnam Service Medal, AF Overseas Short Tour Ribbon, AF Longevity Service Award Ribbon, 3 Devs. NCO Professional Education Ribbon, Small Arms Expert Marksmanship Ribbon, 1 Dev. AF Training Ribbon and the Republic of Vietnam Campaign Medal. After retiring from the Air Force, he went on to earn his bachelor of arts in liberal arts (1992) and his master of science in technical education (1994) from Eastern Illinois University. He also received his private pilot’s license (1995) from the U.S. Department of Transportation Federal Aviation Administration. 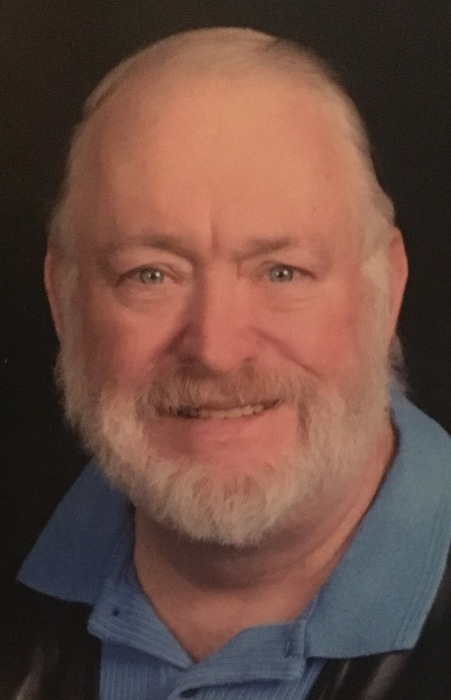 Chuck has spent the last 25 years of his career working at the University of Illinois, first as a network analyst for the College of ACES (1993-2008) and then as a systems engineer for the University Library (2009-2018). Throughout his life in Fisher, he has served as a trustee and deacon at River Valley Church of Christ. His faith in God and his commitment to the church, his community and his family were most important to him. He was kind and compassionate and would always help anyone in need in any way that he could. Chuck enjoyed riding his Harley, as well as hunting, shooting, fishing and boating with his family. More than anything, he cherished spending time with his children and grandchildren. Visitation will be from 6 to 8 p.m. Friday, Oct. 19, at River Valley Church of Christ, 17 Owl Creek Lane, Fisher. Funeral services will begin at 10 a.m. Saturday, Oct. 20, also at River Valley Church of Christ. Burial will follow in Willowbrook Cemetery, Fisher. Flowers may be sent directly to the church, and if desired, Chuck would have preferred for any memorial donations to be made directly to the church as well.